The optical bench forms the basis for the heating microscope from Hesse Instruments. It is an integral and key part of new instruments and, unlike the furnace system and heating microscope software, is not available as a component for modernisations. 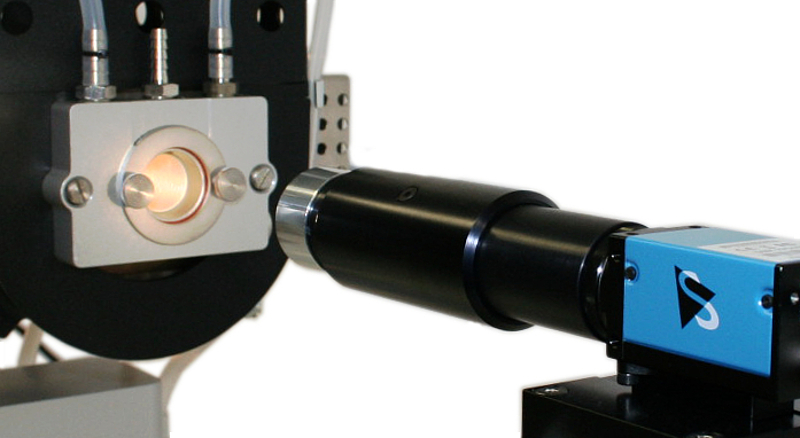 The heating microscope’s optical bench plays a key role in the precise positioning of the measurement system’s optical components and of the furnace and specimen carriage. It is therefore fundamental for obtaining meaningful images, reproducible measurements and reliable measurement results. the lamp, with a halogen lamp and a condenser. The lamp’s parameters are optimised so that a meaningful silhouette of the sample can be obtained even when the furnace emits its own characteristic radiation at high temperatures. the furnace mounting, with the specimen carriage and furnace closures. The furnace mounting supports a Hesse Instruments tube furnace in an adjustable manner. Inside the tube furnace, the measuring cell is formed by the quartz glass discs of the furnace closures in conjunction with the working tube, which acts as a muffle. Installed on the furnace mounting, the specimen carriage allows easy, safe and precise positioning of the test piece inside the measuring cell. 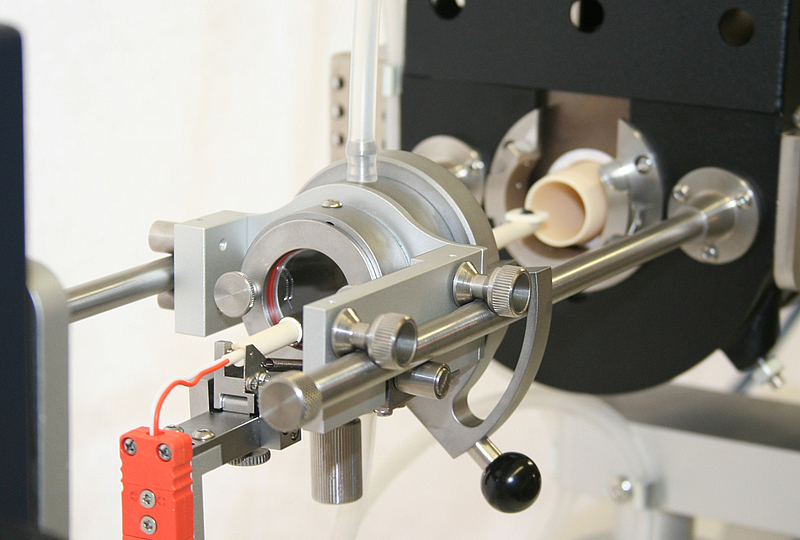 The test piece is positioned on a substrate on the specimen holder, which has a built-in, enclosed thermocouple. The furnace closures are water-cooled and have connections for gas hoses in accordance with standards. These hoses are used to create controlled atmospheres. the camera, with a special macro lens for capturing the silhouettes of the test piece. The EM301 is equipped with a network-compatible digital camera, which allows the recorded data to be transmitted to the measuring station computer as losslessly as possible and produces images with optimum characteristics for automatic image evaluation.